This is the story of a profound revolution in the way biologists explore life's history, understand its evolutionary processes, and reveal its diversity. It is about life's smallest entities, deepest diversity, and greatest cellular biomass: the microbiosphere. 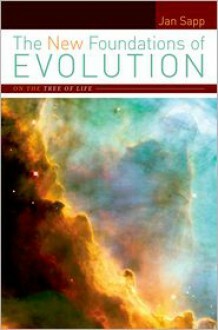 Jan Sapp introduces us to a new field of evolutionary biology and a new brand of molecular evolutionists who descend to the foundations of evolution on Earth to explore the origins of the genetic system and the primary life forms from which all others have emerged. In so doing, he examines-from Lamarck to the present-the means of pursuing the evolution of complexity, and of depicting the greatest differences among organisms. The New Foundations of Evolution takes us into a world that classical evolutionists could never have imagined: a deep phylogeny based on three domains of life and multiple kingdoms, and created by mechanisms very unlike those considered by Darwin and his followers. Evolution by leaps seems to occur regularly in the microbial world where molecular evolutionists have shown the inheritance of acquired genes and genomes are major modes of evolutionary innovation. Revisiting the history of microbiology for the first time from the perspective of evolutionary biology, Sapp shows why classical Darwinian conceptions centering on questions of the origin of species were forged without a microbial foundation, why classical microbiologists considered it impossible to know the course of evolution, and classical molecular biologists considered the evolution of the molecular genetic system to be beyond understanding. In telling this stirring story of scientific iconoclasm, this book elucidates how the new evolutionary biology arose, what methods and assumptions underpin it, and the fiery controversies that continue to shape biologists' understanding of the foundations of evolution today.